Walk down the hallway of a top hospital today and you’ll be confronted with a rising tide of mobile technology. You’ll see patients fiddling with their smartphones in waiting rooms, while nurses and doctors pull up medical records on hospital iPads. The increase in the use of mobile healthcare technology is having measurable and positive effects on patients around the globe. 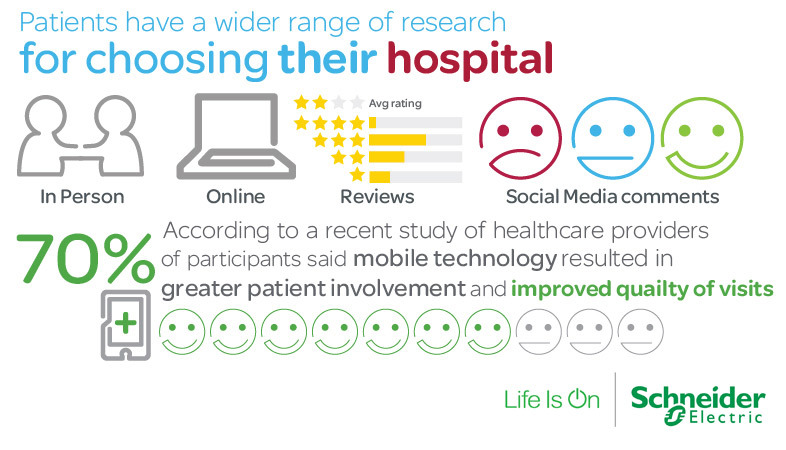 Recent studies have shown that a large majority—70%— of healthcare organizations in the UK report that mobile technology has improved patient care, and resulted in greater patient involvement, making for a more hands-on, engaged healthcare experience. But the trend is not just in the rising use of mobile technology in hospitals; it’s also in the growing design and use of mobile applications specifically designed for the healthcare market. Millions of health-related apps are downloaded every year, and studies suggest that by the year 2017, that number will be in the billions. Many of these downloads are by individuals, interested in making more informed healthcare decisions on their own. For example, the large majority of mobile healthcare applications available right now are being used at home and on the go to help people improve their wellness by tracking nutrition, providing exercise suggestions, monitoring sleep habits, and even providing guided meditation. And then there are wearable mobile devices, which are now being prescribed by doctors to help monitor health vitals such as blood pressure and heart rhythms on patients, while still allowing them to go about their daily lives. As patients gain increased control over their healthcare decisions at home, they’re also beginning to expect the same level of control during their stay in hospitals and their homes at senior living facilities. Unfortunately, most healthcare facilities haven’t yet caught up to the mobile healthcare trend and demand. Right now, many healthcare providers do use mobile technology, however, research suggests that as of 2013, in actuality, less than 50% used tablets or smartphones in their practice, despite the fact that they believe that adopting mobile technology would have a positive effect on their work routine and quality of patient care. Research does suggest, though, that healthcare facilities are trying to catch up. In a few short years, healthcare mobile applications are expected to be mainstream. As such, functional and flexible mobile applications for use in hospitals and other healthcare facilities become not a novelty, but a necessity.